If you don’t have Panera’s app on your phone, do yourself a favor and download it now. Panera has always been a go-to eatery for me because it’s 1) inexpensive and 2) delicious. I would average maybe 2-3 meals there a month. I was a little late to the Panera app, only downloading it earlier this year after continuing to see customers zip past everyone in line, grab their order, and leave without ever speaking to anyone. I thought I’d use the app every once in a while. Little did I know it’d become part of my consistent routine. I’m now visiting Panera 2-3 times a week. So how does rapidly picking up soups and salads relate to associations? 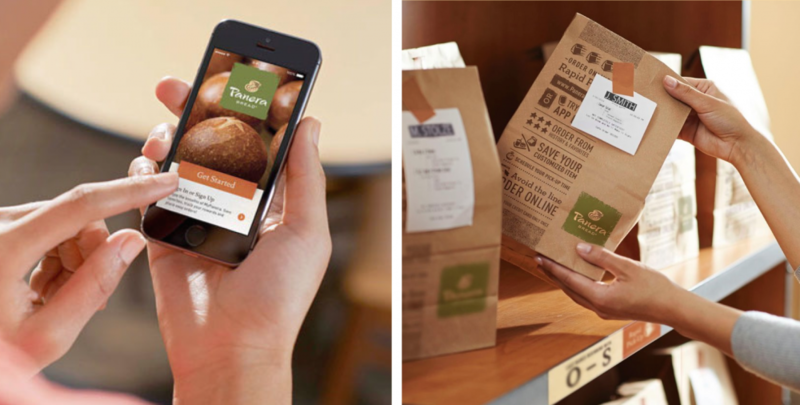 Think about it - the success of the Panera app all comes down to loyalty built through mobile. As soon as I could access the restaurant through an app, I started to interact with it constantly. That’s because it’s just. so. easy. What if association members had this same “raving fan” mentality? Instead of food, it’s content, discussion forums, events and messaging, right through one centralized, native app. That same loyalty can be built when an association makes their membership mobile. The apps we store are seen countless times as we stare at our phones all day long. Because of this, the Panera app is always top of mind when I think about ordering food. It's very possible for members to mirror this experience. As soon as they're faced with anything related to the organization, an app would provide a convenient place to continually turn to. If there’s an event they’re interested in attending, they can instantly enroll. If there’s industry-specific content they’d like to read or share, there’s no need to search elsewhere. Association interaction quickly and significantly increases with such easy access. The Panera app definitely made my love for Panera grow stronger. An association app has the power to do the same. Just as Panera aims to give their consumers the best experience possible, so should every association. Would I take the time to order Panera from a website? No. Does having to navigate and login to different websites influence a member to stay a member? No. Successful utilization of mobile is truly key to not only keeping your members, but substantially growing your network and revenue. Panera has achieved over $1 billion in sales from its digital platforms and is on track to double that in 2019, proof their investment in mobile technology continues to pay off year after year.